It’s here at last! 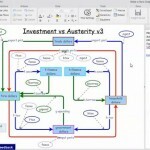 The first publication of mind-mapping.org‘s information for mindmappers who want to interchange information between one mind mapping software package and another. After several months of (spare-time) work I’ve finished putting all the information I’ve been ferreting out and begging for into a usable form, and in one place. The hardest part was deciding how to present it. What I decided on was to show what can talk to the two most widespread packages, FreeMind and MindManager, as the strongest part of the visualization. I did something similar with the web-based software import / export picture, but this new one has additional information buttons that lead you separate pages all about the specific packages. Also included is interchange information about software that doesn’t talk to the two top packages, with downloadable files in some cases and links to authoritative information in all cases. These are the separated boxes out on the right. All have some useful interchange information available, and that (plus letting me know about it) is the only qualification for a mindmapping or concept mapping package to appear on this list. If you know of any similar information that I don’t have, if you make an XSLT for a pair not covered here, or if you can report specific problems with interchange routes, please let me know and I’ll publish updates and feedback. Software authors and publishers – thanks for your help so far. 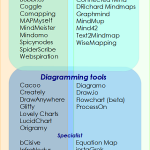 If you think that interchange between maps is desired by users and will help the mind mapping market to grow, help me keep this reference site up to date. In case you’re wondering: Two people I contacted at the start of this mini-project thought I was proposing to develop a standard schema for mind map files. I could see big problems in getting agreement on this, but volunteered to give it a go if there was enough support. Having been heavily involved in formal data modelling for 7 years, I’m familiar with the techniques – and with the difficulty of satisfying all parties. Several people responded with scepticism, and a couple said ‘good’. I decided I needed much more support if it was to fly, so that’s why I went with the information repository approach. Now Eric has another initiative, which supports the general spirit of his original movement: A multi-product mind map viewer that will take a mind map in one format and, via a FreeMind conversion, make it possible to embed it in a web page. 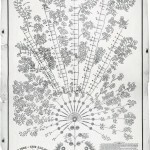 It can produce a Flash or Java mind map from one that you submit. For now it can accept only a MindManager 5, 6 or 7 (.mmap) file, but Eric’s intention is to accommodate others. Of course, this produces results that are read only, but anything that makes mind maps more accessible is a good thing in my book. Have you checked Our Faves yet? items about visual tools you never knew existed. tweet me — I’d love to know and follow you. In mid-September I emailed publishers of mind and concept mapping software about an initiative to make public either the main map-file format, or the format of any import/export file files that mind and concept mapping software supports. I blogged about it here, as well. This project is gaining traction and has the potential to remove at least one of the barriers to more widespread use of information mapping – the interchange of map files. Below is where we are now and my thoughts on next steps. I’m also seeking opinions about an alternative (or additional) approach. So far, publishers of 27 programs [correction 28 – my fault I overlooked one] have responded — or in two cases did not need to respond as their formats were already public. One was a new entry in the mind mapping software field who responded to my blog entry. I would like to thank those who did get back to me, especially those who offered help, which I shall probably take up later. I’m not including detailed, named responses here in case that would reveal state of development or information that publishers might consider commercially sensitive. For those who declined – thanks for responding, I understand the problems that may arise from an exercise like this especially with limited resources or fast-moving development. I’ll keep you informed anyway, through progress emails, unless you ask me to stop sending them. Nine [correction ten] publishers have already made their file formats available – they either sent/offered them to me, gave me links, or in the case of MindManager and FreeMind, I had the links already, as they’re public. Twelve are supportive of the initiative and either state or imply that they will be able to provide the formats within a period ranging from weeks to a few months. Four said ‘in principle, yes’, but their reply was worded to make it seem unlikely that they would participate in the near future. Two publishers declined, on the basis of the file format being proprietary, or not documented and time/resources not allowing development of file descriptions in a form that could be published. My original proposal was to provide one point where mind mapping software users could go to find how to convert to another format, and over time, to download XSLT files to facilitate these conversions. Four of those who responded took this as a proposal to specify a standard format that all developers could use either for their map file format, or as an interchange file. My view was that this is a very hard task to undertake, as mindmaps can vary enormously from one piece of software to another and getting the software developers to agree on a common format would probably require reconciling conflicting needs. Also, Eric Blue had suggested this on his blog and AFAIK no one responded. I produce an abstract data model of the elements of a mind map based on the limited number of info mapping programs I’ve used (mind-mapping.org may list hundreds but I certainly haven’t use them all). I have done a fair bit of data modelling. I would probably use ERwin, but might use Visual Paradigm. I would publish this as a png file and an Excel spreadsheet giving attribute and entity descriptions. All interested would comment. We might set up a Google Group or similar for this. I would amend accordingly. These steps would iterate. Of course, we could easily hit deadlock while looping above, but I would propose to worry about that if it happens and throw it open to discussion. When/if we have an agreed model, we would need to find people with enough knowledge to build an XML schema from it. My knowledge of XML is lightweight and not based on XML experience. If you think this is a good idea or would like to suggest variations, go ahead. If enough people feel it’s worth doing (substantially more than the original four) I’d be willing to give it a try. No promise on timescales as this is hobby / for-the-common-good stuff, but a few months would probably be realistic. If this does garner enough interest, I would still see the original proposal as worthwhile and would try to do that. Please let me have your comments – whether positive or negative. In the spirit of the well-established move towards open or semi-open file formats, at Mind-Mapping.org I recently began a new initiative. This is to collect information about the format of mind- and concept map files, or the format of exported structured files. The intent is to make public those formats for which the software publishers give permission. Over time, I hope that there will not only be file format descriptions, but instructions for conversion and descriptions of limitations. I am willing to co-ordinate the gathering of this information. There are benefits to users, spelled out below, and I believe these benefits will bring benefits to software publishers and vendors for reasons explained here. users will be more temped to try out products if they can use their own material without the need to recreate from scratch. users contemplating trying a new product will have the confidence of knowing that they can revert without needing to redo all work done during the trial period, thus increasing the likelyhood that they will commit to the trial. Some products offer limited interchange. The fact that these actions are not freely possible with a wide range of products is a limit to growth on the whole field of mindmapping and concept mapping and therefore a limit to growth on the mapping software market. 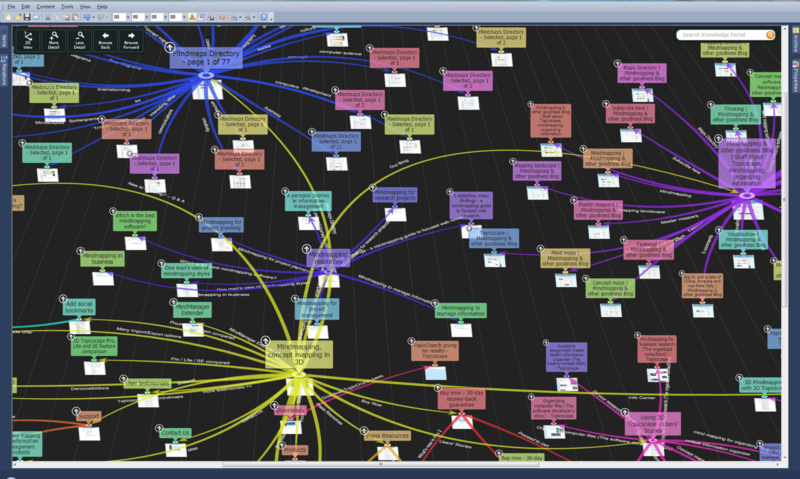 I’ve written to all publishers of mind mapping and concept mapping software for whom I can find a contact email. I asked if they are willing to make public either the format of map files produced by their product or of any exported files. 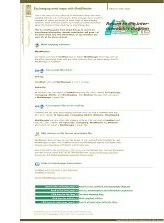 I hope to be able to show this information by links to an appropriate page on their site or by locating the material at Mind-mapping.org. 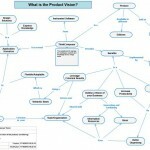 In either case, I hope to have a copy of the material at mind-mapping.org to ensure continuity of the link. Naturally, I shall honour any future request from the software publisher to remove these materials. I have already received many favorable responses, some with immediate information, others with promises to gather the material or supply it later. There’s been only one outright rejection so far, so it seems that the general view is, like mine, that expanding interoperability will expand the market, and that’s as good for the mind mapping software publishers as it is for the users. I’ll be reporting progress here.